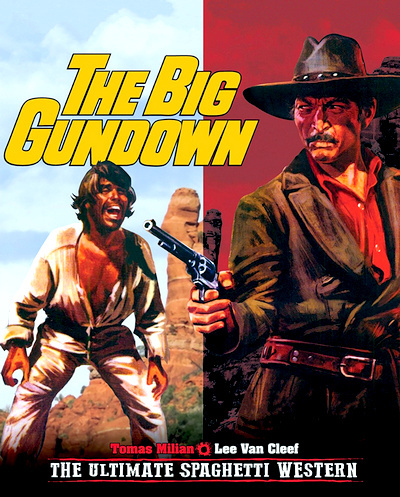 Legendary Jonathan Corbett (Van Cleef) blasts down a trio of outlaws in the New Mexico mountains before attending the gala wedding of the daughter of the wealthy railroad baron Brokston (Walter Barnes). Brokston is gathering power around him in the form of paid gunmen and 'friendly' politicians and judges, and has the notion of running the well-known Corbett for the Senate. But word comes that the ruthless Mexican outlaw Cuchillo (Tomas Milian) has raped and killed a young girl. Corbett sets off to capture or kill the wily bandit, with the promise of Brokston's campaign backing when he returns. 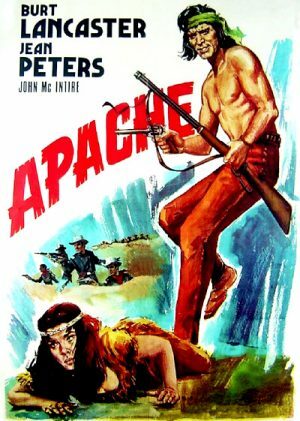 Cuchillo leads Corbett on a wild chase, involving encounters with a widow in a ranch house, a wagon train of devout Quakers and various deadly adversaries. Cuchillo runs like the wind and is faster with his throwing knife than are most men with a gun. Corbett soon suspects that the uncouth but principled Cuchillo may have been framed for the crime, and his suspicions grow when Brokston brings an entire hunting party with him into Mexico to help capture the bandit. 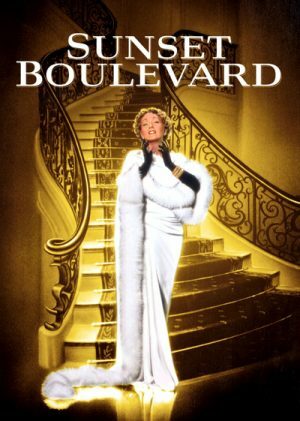 Through its examination of a faded star still yearning for the bright Hollywood spotlight, Billy Wilder's Sunset Boulevard tells the tale of life's progressions and the dangers of desperately clinging to the past and also holding onto dreams of an implausible future. Joe Gillis (William Holden) is a down-on-his luck Hollywood screenwriter who's short on cash, behind on his car payments, and who has just had his latest script shot down by Paramount, thanks in large part to the sharp, harsh, and honest criticism of the young Betty Schaefer (Nancy Olson). To make matters worse, Gillis is being chased down by a pair men looking to repossess his car. In a desperate move, Gillis pulls into what he believes to be an abandoned garage, attached to a run-down mansion. He's called inside, mistaken for a mortician, and meets Norma Desmond (Gloria Swanson), a washed-up silent film star with dreams of a major comeback and a bloated script from her own hand that she believes will be the ticket to a return to prominence. She hires a reluctant Gillis to edit the script and polish it in preparation for sending to none other than Director Cecil B. DeMille. The longer Gillis stays, the more attached Norma becomes. She screens her films for him and grows ever more fond of her new, unwitting companion. When Gillis tries to set out on his own once again, Norma goes to great length to keep him at bay as she prepares to make her move to reconquer Hollywood and rediscover past greatness. The Commissar is one of the great films in the history of cinema as well as the victim of one of the greatest injustices against a piece of art. Banned by Russian authorities for 20 years because of its sympathetic view of women and Jews, when it was finally screened at the Berlin festival in 1988 it deservedly won the Silver Bear and was met with international acclaim. 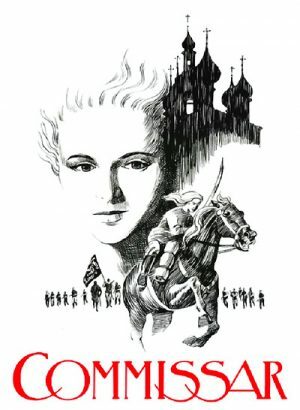 Set in 1920 during the Russian Civil War, the film follows the story of Klavdia Vavilova (Mordyukova), a female Commissar from the Red Army who finds herself heavily pregnant in the middle of battle and seeks imposed refuge with a poor Jewish family. 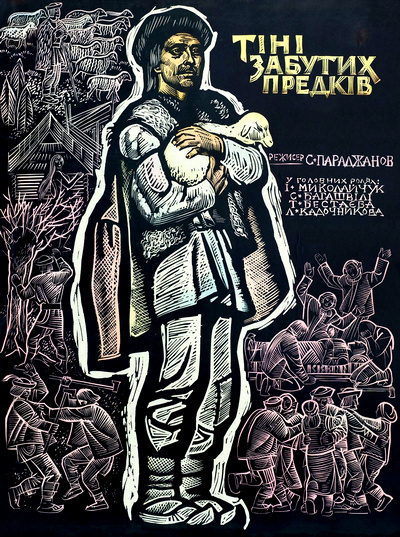 The patriarch of the family, the wonderfully spirited and clownish Yefim Mahazannik (played by the great actor Rolan Bykov) is initially hostile to the arrival of the commissar but his wife Maria (Raisa Nedashkovskaya), who is female comradeship incarnate, accepts the new situation promptly and welcomes the mother-to-be warm-heartedly. Besides the couple, there are several (noisy) kids and a grandmother in the house as well. The arrival of a child into Klavdia’s life is a revelation, a taste of real life outside the death-haunted existence she leads as a comissar. But, of course, she’s doomed. There was no space for maternal feelings in the world of the Red Army and she is aware she will have to make a painful choice, both on account of her being a mother and being sheltered by a Jewish family. Askolvov’s cinematic vision is never less than stunning, scene after scene. His clean, poetic mise-en-scene and imaginative use of montage result in truly memorable moments. The sequence when Klavdia gives birth, juxtaposed with war scenes and a flashback to the moment of conception, is dazzlingly lyrical. It has to be one of the most beautiful metaphors of motherhood ever committed to celluloid. Taken is the ambitious mini-series about alien abductions produced by Steven Spielberg, who is no stranger to all things concerning little green men. The scope of the series is enormous, consisting of 10 episodes approximately 90 minutes in length, spanning 60 years from the 1940s to the present day revolving around the experiences of three families and the strain these abductions places upon them. 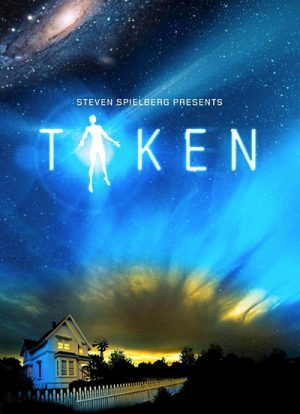 The show takes place from 1944 to 2002 and follows the lives of three families: the Crawfords, who seek to cover up the Roswell crash and the existence of aliens; the Keys, who are subject to frequent experimentation by the aliens; and the Clarkes, who sheltered one of the surviving aliens from the crash. As a result of the decades-long storyline, not a single actor or character appears in every episode of the series. There is plenty of government cover up and alien antics to keep even the most jaded X-Files fan happy. A true classic of Australian television, Cash & Company captures the essence of the 1850s – a pioneering era where life was lived on the land and gold was ready for the taking. 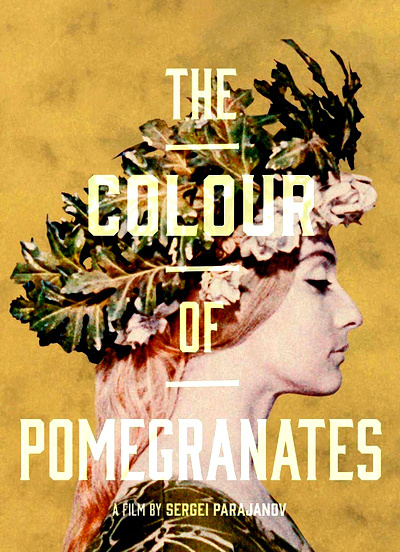 The original series consisted of 13 one hour episodes, filmed in colour and on location in rural Victoria. The episodes dealt with the adventures of bushrangers Sam Cash and his partner Joe Brady and a helpful widow, Jessica Johnson. Cash and Brady were fugitives, constantly absconding from the authorities, led by the police trooper Lieutenant Keogh. Other regular and recurring characters included Jessica’s father in law and her servant, Annie. 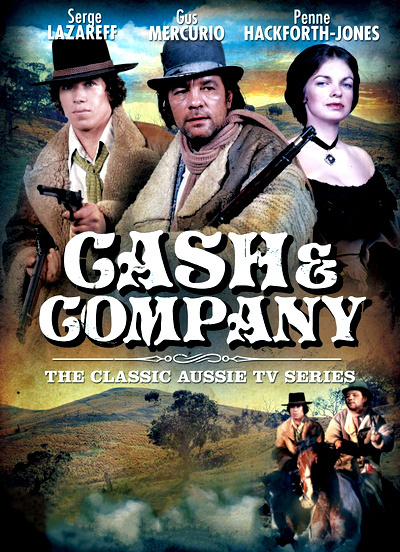 Featuring all 13 episodes and a Logie Award winner for best new series in 1976, Cash & Company includes a dynamic line-up of guest stars, including Terry Gill, Judith Durham (of The Seekers, performing six songs), Gerard Kennedy, Judy Morris, Michael Pate, Noel Ferrier and Tonny Bonner. Driven by a lively theme from the 'Bushwhackers and Bullockies Bush Band' and directed by award winning filmmakers George Miller (The Man from Snowy River) and Simon Wincer (Lonesome Dove), Cash & Company is an action-packed trip back to an era of horses, hold-ups and wild colonial boys. It's a National Emergency as Dawn Of The Dead picks up right where Night Of The Living Dead ended. As Dawn of the Dead begins, the country (and presumably the planet) has already been overrun by the undead, who are rising up and eating the flesh of the living. Chaos reigns everywhere, prompting two TV station employees, Stephen (David Emge, Basket Case 2) and Fran (Gaylen Ross, Creepshow), along with two S.W.A.T. team members, Peter (Ken Foree, From Beyond) and Roger (Scott H. Reiniger, Knightriders), commandeer a helicopter and escape. They land on the roof of a shopping mall. They take over, evicting the zombies and turn the mall into their own paradise. However, their idyllic world is soon threatened as the mall is invaded by a rampaging biker gang. 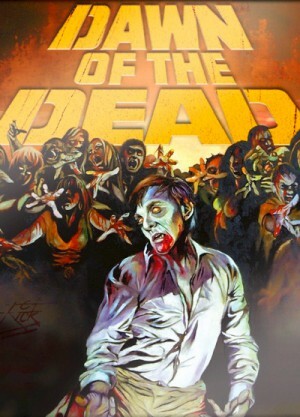 Dawn of the Dead was written by Romero in collaboration with the Italian filmmaker Dario Argento, and produced by Claudio Argento, Richard P. Rubinstein and Alfredo Cuomo. It was the second film made in Romero's Living Dead series, but contains no characters or settings from Night of the Living Dead, and shows in a larger scale the apocalyptic effects on society. In addition to four official sequels, the film has spawned numerous parodies and pop culture references. A remake of the movie premiered in the United States on March 19, 2004. 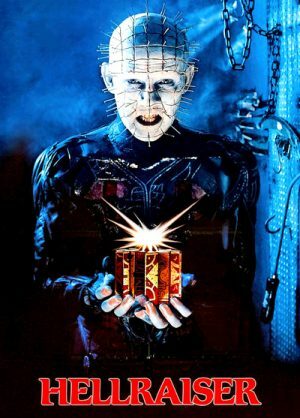 It was labeled a "re-imagining" of the original film's concept. In 2008, Dawn of the Dead was chosen by Empire magazine as one of The 500 Greatest Movies of All Time, along with Night of the Living Dead.